If you are searching for reliable mobile app development services at affordable prices, then this is the right place for you. We provide leading mobile app development services in India whose prime motive is to create excellent mobile apps for all platforms be it IOS or android. We always put customer’s interests before anything else and figure out what kind of apps has a clear selling point. Our team of best mobile app developers in Kolkata are very qualified and are comfortable in developing apps across all app development platforms. They are familiar with all standard app development methods and can create optimized apps which can be accessed across all platforms. Passionate Futurist has a team of mobile app development experts. They can create a sophisticated mobile app design. We are experienced in smartphone app development. Our experts have done tablet app and HTML5 mobile development. We have worked on projects of iOS app development. Our mobile app experts have created a sophisticated app for Android and Blackberry. We are expert in developing apps across different platforms. Our mobile app development experts ensure sustainability, scalability, and security. We have experience with various technologies for app development. For this reason, we have a great track record of app development with amazing feedback from clients. The experts can develop an app quickly. Our charges are quite reasonable in comparison to other competitors. The testing of quality assurance is made for every app. 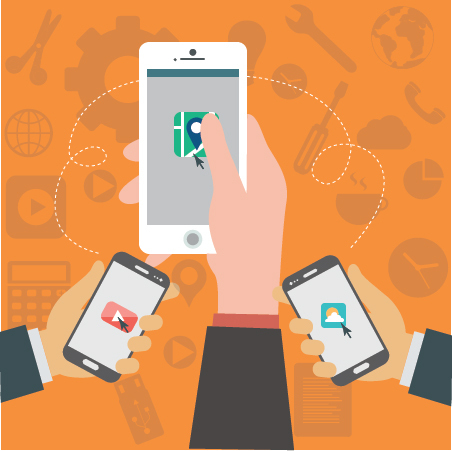 The gateway to successful mobile app development business is in your hands. App development is a big money business in modern days. We are a leading mobile app development agency providing all kinds of app development services. Our mobile app development services include Development of i-Phone app, Development of Android app and Cross platform phone gap. We provide the best custom app development services in Kolkata.